When FieldEdge (1.0) was launched 2 ½ years ago, it was our aim to bring the power of NationBuilder to the field by introducing the first mobile app for the platform. We knew the community would provide valuable feedback about what they wanted from the app, so we stood back and listened rather than rushing ahead. It wasn’t long before the message came loud and clear from customers… they wanted more NationBuilder functionality and door-to-door canvassing. to build the best collection of field organizing tools for NationBuilder. Fast forward to February 2018, and we’re proudly launching our next generation field organizing tool, FieldEdge 2.0. Completely rebuilt from the ground up for better user experience, features and performance, FieldEdge 2.0 delivers a design upgrade that makes NationBuilder field activity even more intuitive, fast, enjoyable and ultimately, more effective. More features, improvements and NationBuilder fields! For most existing users, the app should be updated and ready to go: just open the app and work smarter. If you have automatic app updates turned off, simply visit your app store where the update will be available for download. We will also be messaging all FieldEdge users in the app a short video overview. This will address the most common workflows. You may wish to communicate directly about your campaign or organisation specific usage. This information covers the most common workflows but you can always check-in with your admin about your campaign or organization’s specific usage. We’re here to help you get the most from FieldEdge so please let us know if you have any questions or suggestions. Thanks again for your support and please feel free to reply to this email. If you haven’t tried FieldEdge yet, you can sign up for a 14-day free trial. We’re fanatical about helping people succeed in the field, so we’ll be here whenever you need us. This upgrade is aimed at helping organizations and campaigns around the world get more leverage in the field. We’re excited by this launch and look forward to your feedback and the continued development to extend this amazing platform. Apple’s latest mobile operating system, dubbed iOS 10, introduces great upgrades to apps like Messages, Music and Photos. 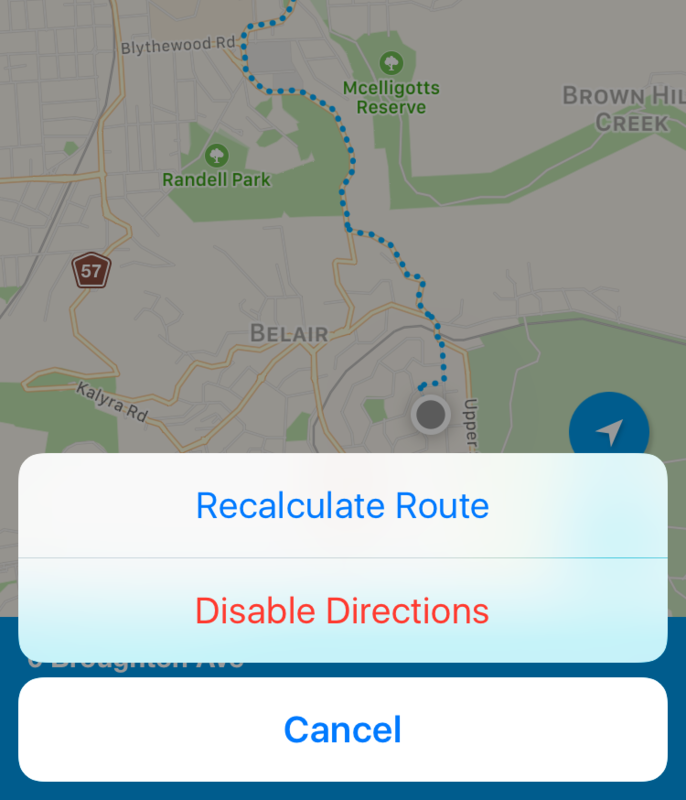 However, with changes to the inner workings of Maps, it introduced a few bugs into Canvassing FieldEdge’s canvassing feature. We’ve been working hard to resolve these bugs and as of today, FieldEdge now fully supports iOS 10. We know all know genuine one-on-one interactions with supporters and prospects are key to effective organising. Keeping track of these conversations however can be tricky and when you’re on the go, it’s easy to forget to record your interactions. That’s why today, we introduce a handy new feature to FieldEdge that makes logging contact even faster. After making a call, sending a text or email from a profile in FieldEdge, you’ll automatically be prompted to log contact. The appropriate contact method (Phone Call, Text or Email) will even be pre-selected for you. The latest version can be found on your app store or if you have auto updates turned on, you might already have it installed! Since launching FieldEdge back in September of last year, we’ve continued to learn how people work in the field by talking to the NationBuilder community. You wanted needed a solution for canvassing constituents that was simple to use but had the full power of NationBuilder behind it. …Introducing, FieldEdge for Android AND Canvassing with FieldEdge. We have strong beliefs about what FieldEdge should and shouldn’t be. These beliefs were formed from the conversations we have with the NationBuilder community. 1. We believe in deep NationBuilder integration. With canvassing, your team will have a clearer picture than ever of your constituency with summary and detailed profiles pulled from you nation about each person they are speaking with. Record all kinds of information and conduct surveys to continuing building a more detailed picture of your constituency, all from the palm of your hand. 2. We believe in making NationBuilder accessible to everyone. 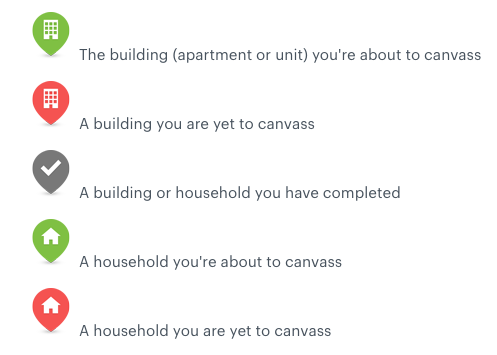 We’ve designed FieldEdge canvassing so that you can setup and deploy a canvass right from the NationBuilder control panel, there’s no need to learn a new system or remember another password. 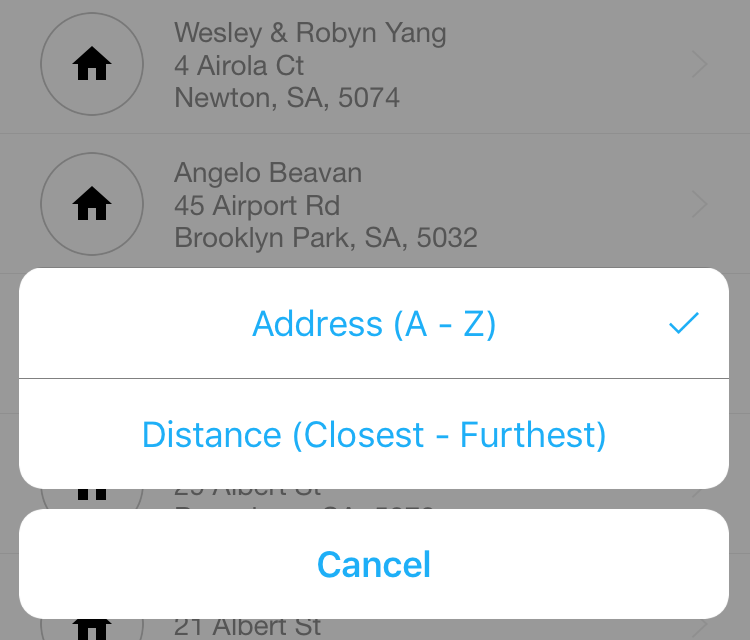 We’ve focused on creating an beautiful, intuitive and powerful app that your canvassers will love. FieldEdge will guide them from door-to-door, providing them with the information they need – and allowing them to add or edit at the touch of a button. Making the app available on different devices. We pushed ourselves to get all of the iOS features into Android. 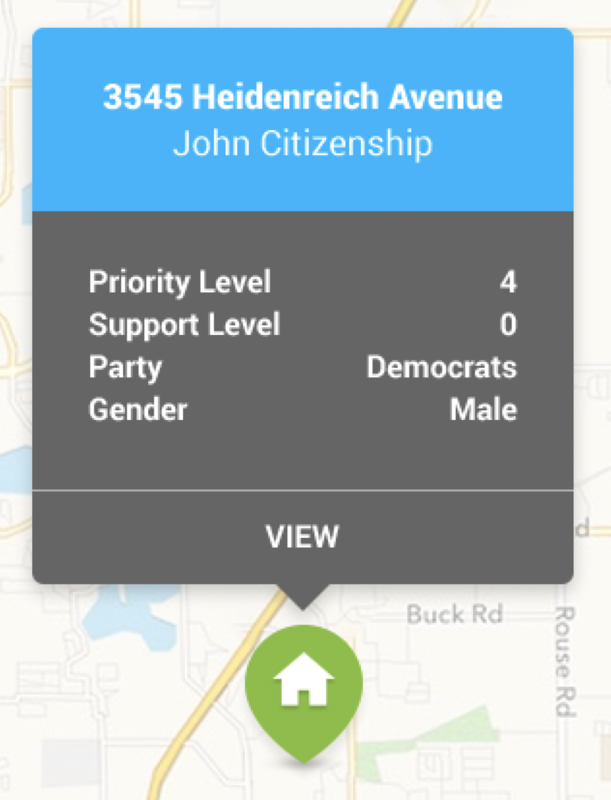 And, that hard work has paid off because canvassing is available for both iOS and Android folk (as of today)! Canvassing is a huge upgrade for FieldEdge, increasing the value it delivers greatly. With that said, we’ve decided to include it with all our existing plans. This means access to canvassing starts at less than $9 per month! Next, you’ll want to checkout our in-app overview or read our documentation. You can learn more about Canvassing or Get Started right away with your 14-day free trial. We believe every person, at heart, has the desire to improve the world. It could be to improve their own life, their children’s future, or just because they feel it’s the right thing to do. The problem is an individual’s desire to create change is often low on a list of daily priorities. School, work, family and socialising quickly get in the way. For the everyday person running their life is difficult enough, let alone leaving enough time to think and act on causes they care about. The challenge for every organisation is to cut through the daily grind and garner the support of even the busiest of people. We know this is no easy task. People are fickle and one approach won’t work for everyone. We’ve listed 5 approaches you can take when trying to get people to support and act for your cause. Human beings are social creatures by nature. We work best in communities, achieving more through cohesion and collaboration. One part of being social creatures is experiencing the emotion of empathy. Feeling another person or creature’s plight as though it is our own. As this RSA video explains, humans are hard-wired for empathy because it helps us build better societies. So how is this relevant for your cause? Using storytelling as a strategy for action, you can create an empathetic reaction that motivates a person to act. Looking for a great example? We challenge you to watch this video on elderly loneliness without getting a bit misty eyed, or feeling the need to do something to change the situation. By viewing another’s distress, we in turn feel distress, compelling us to take action to resolve the feeling. Every cause has a story behind it, someone it affects. While you might not have sobbing elderly folk to put on screen, if you can tell a compelling story using real people and real emotion, you can create an urgency to act within the viewer. The easiest way for a person to feel detached from a cause is failing to see the relevance to their own life. Sometimes this is wilful ignorance, such as ignoring the proven health effects of smoking. Sometimes it is a genuine lack of knowledge, such as a complex issue like the Tran-Pacific Partnership. What about the scenario when the cause really won’t affect the person directly? Try and communicate how it could affect someone they care about. Cigarette ads are the poster child for trying to get people to move past wilful ignorance. If adverts about cancer ridden organs aren’t getting through, getting people to understand how their actions will significantly impact others might do the trick. This advert ran for a long time in Australia, and highlighted what the smoker will miss out on in their children’s life. This advert used an upset young child to highlight a life without the parent. When creating communications about the cause, try different strategies for making that link. Keep in mind that inaction happens for a range of reasons, and might be a genuine lack of knowledge as to how an issue can affect an individual or those they care about. In a perfect world, people would act charitably because it’s the right thing to do. All actions would be altruistic in nature, and come from a place of selflessness. Truth be told, we don’t live in such a world. Pretending we do only limits the approaches you can take towards growing your supporter base. In the age of Facebook and Instagram, ego has evolved. We can now put forward a carefully curated version of our lives. Being seen as ‘do-gooder’ is often part of this curated life. There are two great approaches towards leveraging peoples’ social image when trying to motivate. The first is placing the viewer at the centre of the communication, and making the cause about them, and what they can do. This WSPA advert states “These animals need people who care, are you with us?”. This type of action validates the viewer, and insinuates to not act is to not care. The second approach is creating self-validating material for users who have contributed to the cause. Make sure to loudly put forward any achievements your organisation has accomplished, with affirmation that even the smallest contribution helped the outcome. Craft socially shareable content, such this thank you video by AYCC. It shows accomplishments, thanks those involved, and puts the contributions of the individual at the centre of the cause’s achievement. This type of content is easily shared by those involved without appearing egotistical, yet still allows the person to showcase their contribution to the cause. For potential supporters who see the world in black and white, getting your facts and figures in order is the best way to win them over. Preparing communications of this nature gives you the opportunity to delve into the nitty gritty figures of why your cause makes economic and statistical sense for the individual and wider community. The difficulty with presenting information of this nature is that it is often quite dry. Communications based around facts and figures can be difficult to weave into engaging content, but it can be done. Get Up’s attempt to present the basics of the Trans-Pacific Partnership is a great example of using motion graphics to engage an audience with dry content. Additionally, they also created a humorous version of relaying the information; both creative approaches of getting dry content to resonate with people. Creating video content isn’t the only way to engage people with information, there are more cost effective methods like infographics. Whichever way you communicate the information, ensure it allows the individual to seek more details if they wish too, like linking to a content rich post on your website. Approach 5 – Keep Organised: Who Cares About What? Once you have a supporter base, it’s a good idea to start sorting, organising and planning. When the numbers grow, basic software like an Excel spreadsheet just won’t cut it for keeping track. You want to be able to use the information you have about supporters and turn it into useful data you can act on. A CRM stands for customer/constituent relationship manager, and for many NFPs, political, and advocacy groups, it’s the cornerstone of their operations. Our CRM of choice, NationBuilder, allows you to create detailed profiles for each person in your database. You can include contact information, log interactions, set goals, and record their interests. Being able to look at a supporter’s profile before contacting them can be enormously valuable. 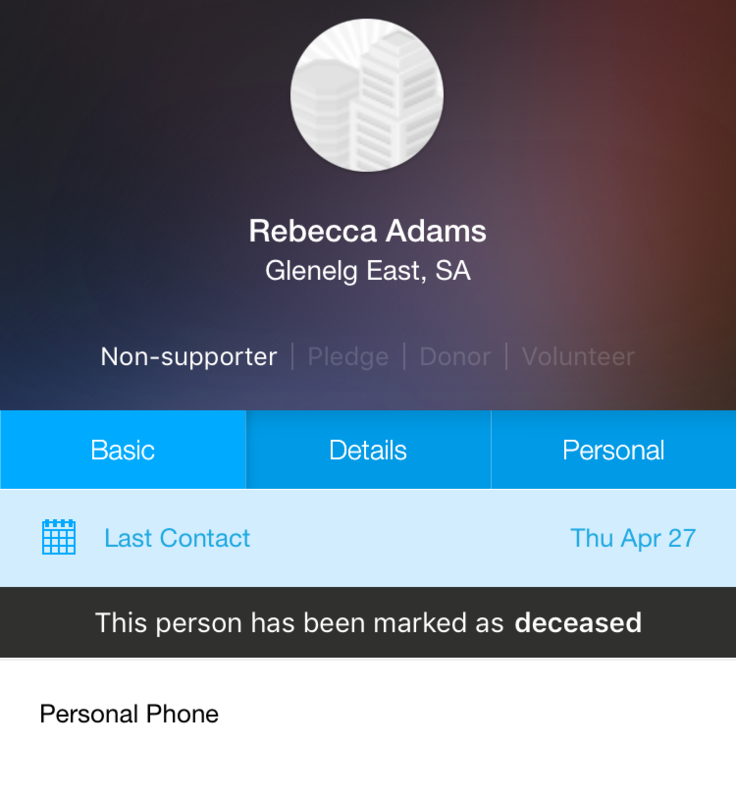 If you’re conducting a day of canvasing, then you can use an app like FieldEdge to access NationBuilder and view information before interacting with people. It’s nice to know if a person is for or against a cause before discussing it. CRM’s also allow you to easily segment your database for EDM communications. Want to email all the people who have already donated? It’s as simple as creating a filter. Being able to reach the right people with the right communication allows you to increase the chances of meeting the objectives of your cause. The best part about each of these strategies? Any organisation, on any budget can start implementing them immediately. While those with bigger budgets will have the edge on creating content and choosing a CRM, there’s nothing stopping a one person operation starting a blog and opening social media accounts. New Humans of Australia is a perfect example of a single person wanting to make a difference, and using the resources available to them to do so. Nicola Gray decided to use a similar model to that of HONY to share the inspiring and heart breaking stories of refugees and migrants who have come to call Australia home. Nicola’s effort started only four months ago, yet New Humans of Australia already boasts a fan base of over 60,000 likes. Once a cause gets momentum, it starts to grow. If one person and a collection of stories can grow to have such an effect, there’s no reason your own cause can’t build the same way. Get out there and make a change. Time is just as important as money when it comes operating an organisation. Saved time directly translates into dollars when you can see efficiencies stretching from hours into days, and days into weeks. In this article, I’m going to discuss two digital time saving measures that your not-for-profit or political organisation should consider. They go outside the realm of simply expecting employees to put in longer hours, with the aim of getting you to think about the importance of saving time, or ensuring it’s being spent the right way. The number of poorly constructed sites on the web proves that there are a significant number of organisations that don’t understand or appreciate exactly how much time a website can save their employees. Those who aren’t particularly tech orientated often have a very shallow understanding of a website’s potential, thinking of it as just pages containing information. They don’t understand just how much planning, skill and energy goes into an effective website, nor the enormous benefits it can provide an organisation, especially when it comes to saving time. As a not for profit or political organisation, there is vital information you want to convey to your supporters. Organisations that interact heavily with the public have the most to gain from investing in an effective website. A well designed website can easily communicate policy, events, contact information, and encourage a potential supporter to get on board with the cause. Take Barack Obama’s website as an example. If you’re wanting to join an event in your area, you don’t have to speak to anyone. It’s all there, and incredibly user friendly, right on his website. The page starts off with a very simple instruction, with very minimal input from the user. All you have to do is give the page your ZIP code and how far you’re willing to drive, and it tells you which events you can attend, in chronological order. Easy! If that person had needed to call someone, or email them to find that out, it could easily take the staff member 10 minutes to service the enquiry. If they got just 50 enquiries about events per week, that would total 433 hours per year to service those enquiries. The following form is a simple example of an organisation’s website contact form that has too much friction, and will result in many potential enquiries not being made (lost conversations). The above form has too many fields, which results in what is known as form-fatigue. Many of the fields are unnecessary for the purposes of making an enquiry. I’ve designed a simplified version below, following practices for optimising form completion. Much less daunting, agreed? Look at similar organisations to get ideas about functions or elements that are working well for them, and think about whether it would work for you. If you can immediately understand their main points, or easily navigate through different sections, there might be some great examples of user experience you can pick up. Ask a friend or family member who isn’t familiar with your cause or organisation to visit the site. Ask them a range of questions such as what they think your cause is, what are the main points you’re trying to communicate, do they have trouble navigating to particular areas. This can give you a general idea of what’s not getting through. If you are concerned that your organisation is not currently making the most of its online presence, there are a few ways you can approach speaking to your manager about it. Firstly, speak to those in the organisation who regularly interact with the public enquiries. Are there questions they feel like they answer again and again? While chatting with your manager express there are some things you think could be done differently to save the organisation time, and in turn money. Once you monetise an idea, it can quickly get more traction. If there are good examples of simple queries that interrupt staff on a regular basis, make sure you mention them, as giving solid examples to back up your points can make them seem a lot more credible. The second approach can be speaking to a digital agency. Many medium sized NFP’s and political organisations don’t have the resources to employ a full-time digital marketing team. Agencies exist so you can access highly skilled teams when necessary, and not have to employ them on an ongoing basis. Most agencies will be happy to quickly point out the improvements you could implement as part of a quoting process, and these will often have time-saving or monetary benefits. A Customer Relationship Manager (CRM), is a software platform that allows you to interact with your supporters and volunteers in a more personalised and time efficient manner. For advocacy and political groups, being able to quickly and easily personalise communication with a number of stakeholders is an enormous time saver, and goes a long way towards keeping them interested in your cause, and in a similar vein allowing your cause to move forward. For example, you may have held an event last month, and you would like to email your volunteers to say “Thank you! Would like to volunteer again next month?”. Without a CRM you would need to manage a list of volunteers, find their contact details, double check who attended, then craft an email to send to these individuals, among other laborious things. It doesn’t sound particularly time consuming when written out, but we all know how much of a nightmare it is trying to find information that hasn’t been properly stored. A good CRM should allow you to easily pull up this information within a minute, along with a history about each person, allowing you to contact these and similar people efficiently. If you’re thinking about using a CRM to manage your organisation, there are a few you could choose from, which require various levels of integration and technical wrangling. One of the most complete and easy-to-use CRMs (created specifically for organisations), is NationBuilder. I’ll be focusing on for the purposes of this article. In NationBuilder, each supporter of your cause is added into your database or “Nation”. A supporter doesn’t need to be a person actively supporting your cause, but might be any person who has interacted with your website, such as using an enquiry form. Once their profile is created, it will try pull details from their publically available Twitter, Facebook and Linkedin accounts, creating a snapshot of the person automatically. Within their profile, there are a diverse number of fields you can enter, allowing you to create a comprehensive snapshot of who they are and what is important to them. The point of having all of this detail is to be able to easily customise and automate communication based on detailed personal criteria. Let’s say you added a tag of “volunteer 2015” to each person who volunteered at all 2015 events. When you want to email that group, it’s as easy as creating a 30 second filter. In addition to incredibly detailed profiles, a decent CRM will allow you to log all contact you have had with a supporter in their profile. For example, last time one of your volunteers reached out to someone in your organisation, they made it clear they were against a park redevelopment in the area. This information is now sitting in a log against their profile, ready to be seen at a moment’s notice. The benefit of this is that no matter which individual in your organisation talks to that supporter next, they can immediately be updated on the position of the individual, and perhaps not asked if they would like to sign a petition for the park redevelopment. Whether it’s customised email communication or talking to supporters, a decent CRM will allow you to quickly sort those in your database based on relevant criteria, or give you a snapshot of where they last stood in relation to a particular issue. Saving time and being more relevant to your supporters is vital, and a good CRM will allow you to do both. If you’re committed to using technology to increase your internal efficiencies, it is always a good idea to approach it thoroughly and thoughtfully. With that, allow me to leave you with two quotes on productivity and efficiency. Getting people to notice your cause is a challenge in itself, and let’s face it, word-of-mouth is only going to get you so far. There are thousands of causes out there, and you really need to do something special if you want people to care about yours. If you want people to fund your organisation, you need to get them to become emotionally invested in what you’re trying to achieve, so much so that they’re willing to put their hard-earned dollars in your hands. These statistics speak for themselves, and certainly point to the fact that getting people to feel the true gravity of your cause is well worth focusing on. Here are a few handy tips I’ve put together that will help you raise funding for your cause in the digital space. This isn’t really a tip specific to the digital space (and might seem obvious), but if you don’t strongly believe in your cause, you’re going to have a very hard time getting anyone else to care about it. There are a multitude of fundraising platforms out there that allow you to accept donations. I’ll introduce you to the main ones briefly. As far as simple fundraising platforms go, there are quite a few. Almost all of them have the option of choosing free vs paid plans, and almost all of them charge a fee between 4-8% of each transaction. Currently, the fastest growing platform for organisations and causes is NationBuilder. NationBuilder allows you to not only accept donations, but to manage all the people who have expressed interest in your cause, from members, to volunteers, staff, and donors. Being able to manage your supporters from one central CRM makes NationBuilder quite powerful, which is likely what contributed to its rapid growth. This is a paid solution, with tiers to suit a variety of organisations. Want to find out more about NationBuilder? Click here. You can always host your own website, with integrated online payment facilities, like PayPal and Stripe. If you have a web designer and developer, you could setup your own donation page on your website. The most popular e-commerce solution at the moment for this scenario is WooCommerce, which is an e-commerce plugin for WordPress. WordPress and WooCommerce are free, but if you want any special features added on, you often have to pay for plugins (which isn’t too expensive in most cases). Hot Tip: Make your “Donate Now” button on your website as clear and obvious as possible. If it stands out enough, it will increase the number of donations that your organisation gets (it really is that simple). There are a multitude of other conversion based insights that would do you good to explore. One of the world’s most recognised conversion optimisation experts, Peep Laja (@peeplaja), created a blog that includes tonnes of really great advice on conversion and some things you should be thinking about. Check out his blog on ConversionXL. Using Facebook is a great way to make people aware of your cause, but you still need a way to grab the attention of the right people. Facebook is an excellent medium for creating awareness by targeting the specific people who are likely to resonate with your mission and message, but you also don’t want to annoy people who aren’t interested in your cause (or worse, people who are opposed to it). So how do you get the attention of the right people? There are a few ways to do this. You can either play the long game by simply posting content that will get shared more and more as your Facebook Page gains more followers, or you can pay for ads. I would recommend a combination of the two. Facebook’s advertisements can be set up to be incredibly targeted. So if for example, your cause was about fighting climate change, you could target people on Facebook whose specific interests align with issues related to climate change, like solar and wind power as an example. The example below shows how the Climate Council in Australia uses testimony from the grassroots people affected by climate change. Good photography combined with authentic quotes from real people is a great mix. Once your following has grown and you’ve convinced your audience that your devotion to the cause is beyond question, only then should you start asking for donations, preferably using adverts and page posts simultaneously. When you do, it’s always a good idea to give the audience the impression that they’re getting something in return for their donation, so make it clear to them what that money will help to achieve. The more specific you can be about that, the better. If you want more advice on how to make the most of Facebook, then John Loomer is one of the foremost Facebook marketing authorities. His website is an excellent resource on how to make the best of Facebook’s marketing potential. I’d highly recommend browsing some of his helpful articles. Twitter’s short, sharp, headline-style format functions well for quick newsflashes. If members of your team have just finished a fun-run, then Tweet it just as you’ve finished the race, because that’s when the fun-run’s hashtags will likely be trending hardest. If you’ve hit a landmark amount of donations (say 50% of your goal) then Tweet it and include one or two suitable #hashtags and any relevant @JohnDoe mentions. Twitter’s power lies in your capacity to share snippets of useful links and information that are relevant to your audience at the time when that info is at its most useful and interesting (when that topic is trending, or has the potential to trend). Have a think on what your cause is about and what it is trying to achieve. You most likely have a number of blog ideas floating around in your head that would help your cause significantly, if only you could put pen to paper (or fingers to keyboard). So… do your research. Writing awesome content is not easy, but it’s well worth the effort. It just takes time, passion, and most importantly, research. The best blog posts are born of a good idea, but they don’t end there. If you want people to find common ground with your ideas, you’re going to need to go on a quest to hunt down all the content out there that relates to the idea you want to blog about. Once you’ve read enough content that relates to what you want to write about, ask yourself: “Will my article genuinely add value for people?” If it’s a resounding “YES”, then write about it in a way that speaks to the kind of person who’d be interested in an article like yours. And don’t just give them the bare essentials. Give them everything they could ever have hoped to know about your idea. Give them everything you’ve learned. Summarise it where necessary of course (you’re not writing a bed-time story), and think of their needs while you’re writing. If you’re looking for more tips on how to write great content, an excellent place to start would be Neil Patel’s QuickSprout article about writing “Epic Content”. Forbes rates him one of the top 10 online marketers, so he’s kind of a big deal. If you have a database of people interested in your cause (basically a list containing people’s names and email addresses), then you should be sending out email newsletters to them at opportune times. NationBuilder (the CRM I mentioned earlier) is built specifically for causes and organisations and has bulk email functionality built into it, so it’s already integrated into the platform. It’s not quite as fully featured or as slick as the likes of the mighty MailChimp, but having used NationBuilder’s email service myself, I can say it certainly does the job just fine. No matter what platform you’re using, you should be sending your supporters occasional news and updates to keep them interested and invested in the cause. If you send requests for donations, tell them what their money will do. If they make a solid link between the money they’re spending and the effect that their donation will have, you’re on the right track. For example, $20 will pay for 200 flyers to create awareness in the community, etc. Choosing a good subject line is one of the most important aspects of writing emails. Experiment with different subject lines from time to time. An approach that I’ve found to work time and time again, is to mention the person’s first name in the subject line, and make clear mention of the most interesting aspect of the email content. For example, “Mary, your guide to surviving the Zombie Apocalypse” makes clear mention of what lies inside the email. Mary would be more inclined to open the email, because she’d want to see what this “guide” is all about. Writing good email content is an art, something you should continually refine and experiment with if you want to improve your results. One or more of the methods I’ve mentioned could make a significant difference to your marketing mix. Start by trying the ones that interest you most, and focus on doing them well. When you’re happy with the results you’re getting from that method, try another. You’ll need to fiddle around with each aspect before you find something that works well for you. Marketing is far from an exact science. As they say, there are no expert marketers – only experienced marketers and expert testers. So test and test and test some more. And when you’re done with that… you guessed it, test it! If you found this article interesting enough to share, share it. If you think I’ve left something out or you have something to contribute, I’d love to hear your feedback in the comments section below.